A native of Malaysia, Raymond obtained his Diploma in Music Performance (Vocal Studies) at the Nanyang Academy of Fine Arts (NAFA) and Bachelor of Arts (Honours) in Music from the University of Wales (UK) under the guidance of Lim Shieh Yih. In 2015, Raymond graduated a Master’s Degree in Choral Conducting, under tutelage of Prof. Pedro Monteiro at the University of Saint Joseph (Macau). 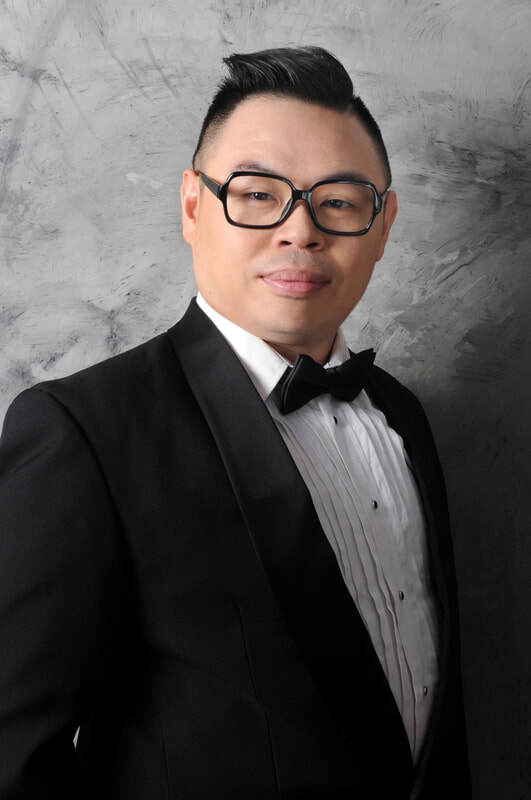 Raymond was the first prizewinner of The 34th (2008) and 37th Malaysia National Art Song Singing Competition (2011); The Trinity Guildhall Music Competition in Singapore (2011) and the American Protégé International Vocal Competition (2016) in Traditional Repertoire (Professional Group). Raymond made his operatic debut in 2011 with the Singapore Lyric Opera as the Second Jew in Strauss’ Salome. In 2016, he sang as Pang in Puccini’s Turandot, while later in 2018, he sang as Scholar Tao with the Singapore Chinese Orchestra in their semi-staged performance of Liu San Jie. As a recitalist, Raymond has held numerous solo recitals. He has also performed in Malaysia, Indonesia, China, Thailand, Macau, Hong Kong, Singapore and United States. Raymond was invited to perform the Tenor Solo in Bach's Motet BWV227, Cantata BWV24, Mass in B Minor, as well as Beethoven's Symphony No.9. Raymond is also active as a Choral Conductor in both Singapore and Malaysia. Under his guidance, his choirs have received Gold awards in International Choir Competitions. Between 2013 to 2018, his students have won many prizes in prestigious competitions such as the American Protégé(New York) and ZhongSin International Music Talent Competition (China). Currently, Raymond conducts the Greendale Secondary School, Junyuan Secondary School, and Pei Hwa Presbyterian Primary School choirs. He is also a tenor in the Amoris Singers and Raffles Singers, having performed with them since 2011.